Writing a professional biography for a biologist begins with identifying the bios purpose and the audience it is meant for. The biology bio will provide the reader with a summary of your career in the field and your qualifications and skills as a biologist. 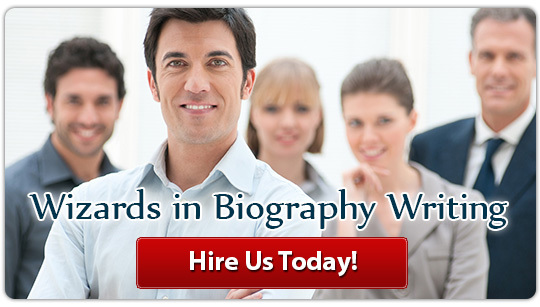 Your biography can be used for finding a job or establishing your credentials in the field if you write a biology article among other things. An effective biography will be written for a particular purpose and target a specific audience. Once you define your purpose and identify the audience, you can select the best content for your biography. The information you include in your bio should be relevant to achieving your purpose. If a position with an employer requires certain skills, then you should include information that focuses on information that shows you possess the desired ability. A bio written for a conference where you will be presenting a paper on the life cycle of the “Tasmanian Spotted Tree Frog” should show what makes you an expert on the topic. Relevant information can be taken from your professional employment history and what you accomplished in positions you have held. It can come from awards and special recognition you have received in the field or organizations you are a member of that are related to biology. Your academic background including the degrees that you have earned and research that you have been involved with are another source. Select the information from your sources that best establishes your credentials for the particular purpose of the biography of biologist you are writing. There are a number of basic criteria for writing a professional biography. The length of the bio should be no longer than one page, and may often be much less. Write using the third person perspective and a narrative style. The paragraphs in your bio should be short for easy scanning by the reader making it easy to locate the information they want. Write concisely in language that is easy to understand. Scientific jargon should be kept to a minimum unless your targeted audience is made up of others in the same profession. The bio must be grammatically correct and free of mistakes in spelling and punctuation. Include only information relevant to achieving your purpose. If it contributes nothing then remove it. Avoid using clichés and general statements. They make you sound like everybody else and your bio should make you stand out from the crowd, not disappear in it. It can be more difficult to write an effective professional biography than many people expect. Selecting the right content and presenting it in the best way to achieve your purpose is no easy task. 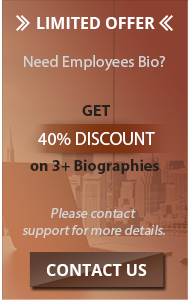 One alternative to creating your own bio is to have our professional biography writing service do it for you. Our service provides high-quality professional biographies for any profession including biography of chemist or biologist. For a high quality biologist biography designed to achieve the purpose you want, contact us and see the advantages our bio writing expertise can provide for you!